Entrepreneur Mark Wallace found his inspiration inside an abandoned building in Detroit. 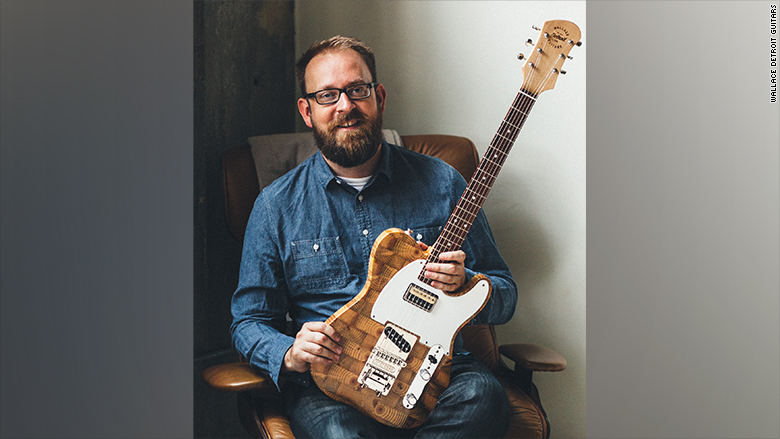 That's when he realized the city's vacant homes, firehouses and auto manufacturing plants are not eyesores, but instead provide a valuable commodity -- reclaimed wood -- that would eventually become the cornerstone for his startup, Wallace Detroit Guitars. 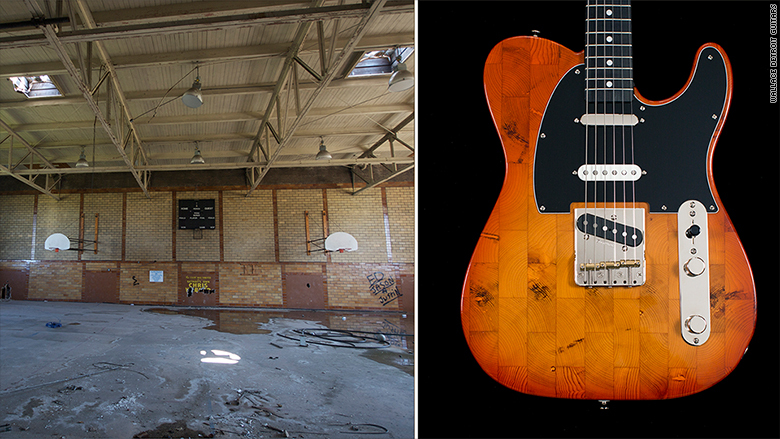 From the benches of a recreation center to the wooden floor planks of a former firehouse, Wallace has been salvaging scraps of pine, maple, redwood, mahogany and walnut and turning them into beautiful handcrafted guitars that are uniquely tied to Detroit's history of manufacturing and, in particular, music. "One of my favorite sources for the wood is the Brewster-Wheeler Recreation Center," said Wallace, 41. The rec center was located right next to the housing projects where Diana Ross once lived. She and The Supremes were known to hang out there, he said. Wallace harvested maple from the center's benches to create his Brewster Wheeler series of guitars. Another line, called the Cadillac Stamping collection, is made from wood reclaimed from a former auto parts plant. A Michigan native, Wallace founded his business as the city struggled to stay afloat. 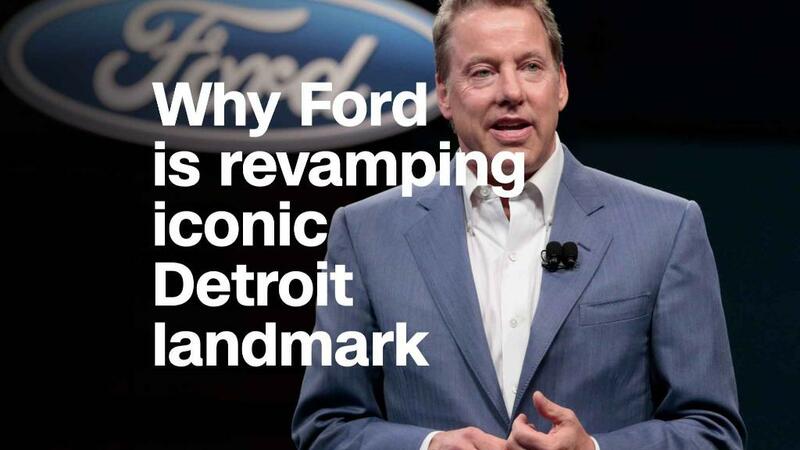 The company launched in 2014, just one year after Detroit filed for bankruptcy protection. But that hasn't slowed Wallace down. His company now produces about 50 guitars a year, logging annual revenue of just over $100,000 -- and it's turning a profit. The idea for the guitars came to Wallace after a friend told him about Architectural Salvage Warehouse, a local nonprofit that deconstructs historic buildings with the goal of reusing salvaged wood and other materials to make new products. The concept piqued his interest. So he took a tour of the warehouse where the salvaged materials were stored. "There was a lot of wood piled up and I happened to spot a cutting board made from reclaimed wood. It was stunningly beautiful," Wallace said. Mark Wallace with one of his guitars. The shape of the board reminded him of a guitar that he bought when he was in high school. "I remember thinking, 'Wouldn't it be cool to have an actual guitar made from this old wood?," he said. With his own personal investment of $20,000, Wallace took a year to assemble a team of freelancers and spent about $650 to make a prototype from wood harvested from a house on Pearl Street that dated back to the late 1800s. Along the way, he hired a local guitar player to test the guitar's sound quality. He also set up a website and hired a marketing firm. That first year, Wallace sold 50 guitars through the company's website. "People started loving the story and wanted to own a guitar that was tied to Detroit, looked beautiful and sounded great," he said. About half of sales come from within Michigan. The rest come mostly from other states, but there have been some international buyers from Europe, Asia and Australia, Wallace said. Each guitar takes about three months to make and sells for between $2,200 and $3,800, depending on the rarity of the wood and custom components on the guitar. The guitars are all stamped with a serial number that begins with Detroit's area code, 313, followed by a number indicating where the specific wood came from and how many guitars were made from that wood. 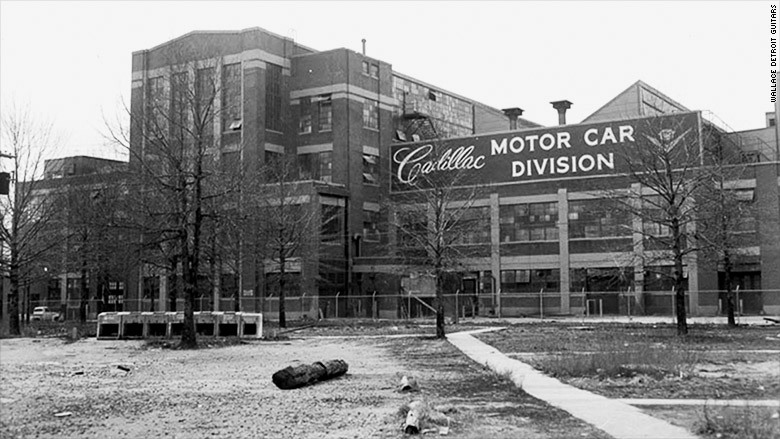 The former Cadillac Stamping building in Detroit provided wood for another series of Wallace Detroit's guitars. 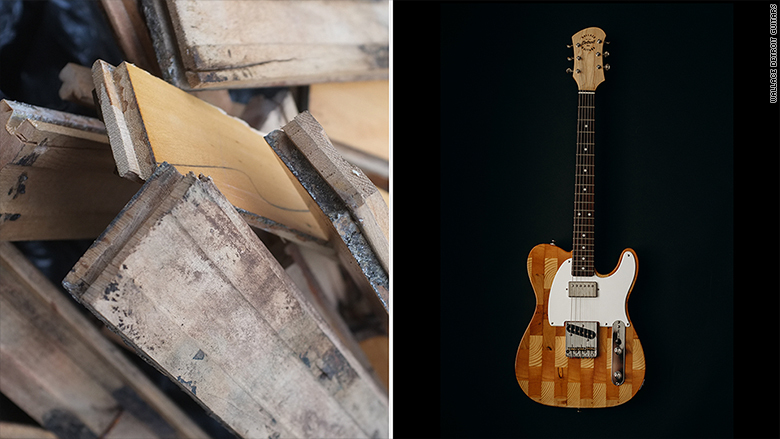 The wood from the former Cadillac plant [left] and the Cadillac Stamping guitar made from it. Wallace said he will soon add a bass guitar to the company's portfolio and hopes to eventually add other musical instruments. "It's not like we're going to run out of wood in Detroit anytime soon," he said. At the same time, he wants the city's vacant properties to come back to life again. "I want to see Detroit full of people again and neighborhoods to be revitalized. That's ultimately my goal for this city," said Wallace.